A very long overdue post about one of Madrid’s very top tables: Santceloni. The restaurant doesn’t need any introduction from me – it is absolutely world class with a star line up of chef, maitre and sommelier all at the very top of their game – but I realized yesterday when rejigging the “Where to drink it” page of the blog that there was a glaring omission. I last had dinner there last March and it was a fantastic night. As part of my training for the Vila Viniteca “Cata por Parejas” the brilliant sommelier David Robledo was kind enough to serve me everything blind. 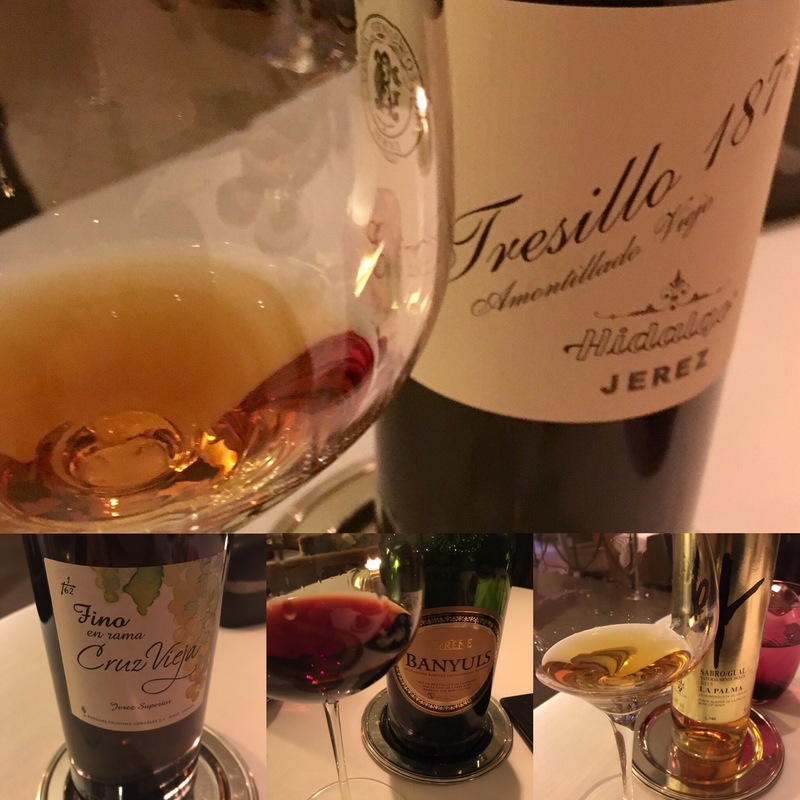 Not only that, but seeing me flagging after some early struggles with a South African Sauvignon Blanc and an Alsace Riesling, he was also kind enough to give me one of my very favourite wines, the Emilio Hidalgo Tresillo 1874 (if I had got that wrong it would have been time to withdraw from the cata). In addition to that, and although the mission was to train for wines from all over the world, David saw me coming and we started the evening with a nice glass of the under-rated Cruz Vieja fino and he clearly has a lot of other wines from the region at his disposal (in particular, since then he has added significantly to the weapons at his disposal in the form of the fantastic Barajuelas). In fact I am sure I am just barely scratching the surface: I have kept meaning to go back and ask for the wine list (I am too easily led) to double check and will do so as soon as I can. For the time being, you will have to take my word for it!